A grandmother-of-one has led a virtually pain-free life due to a rare genetic mutation that is thought to affect just one in several million. Jo Cameron, 71, of Whitebridge in Inverness-shire, first caught the attention of scientists when medics had to coax her into taking paracetamol following a hip replacement for severe arthritis. Mrs Cameron even claims she only notices she is burning herself when she smells scorching flesh. She also went days without realising her arm was broken, found childbirth painless and says eating Scotch bonnet chillies leaves a ‘pleasant glow’ in her mouth. A genetic test by UK researchers revealed the pensioner has two DNA mutations that stop her feeling physical discomfort, one of which had never been discovered before. The scientists hope Mrs Cameron – who also experiences fast wound healing and remarkably low anxiety – will lead to the development of new painkillers. The genetic analysis was carried out by researchers at University College London and led by Dr James Cox, a senior lecturer in mammalian sensory genetics. ‘We found this woman has a particular genotype that reduces activity of a gene already considered to be a possible target for pain and anxiety treatments,’ Dr Cox said. Speaking of her condition, Mrs Cameron said: ‘When I was eight, I broke my arm roller-skating and didn’t realise. ‘It was three days later that my mother noticed it was hanging strangely and realised. HOW DOES JO CAMERON NOT FEEL PAIN? People who do not feel pain are extremely rare, although cases have been reported. Jo Cameron is the first known case of someone with mutations in both the FAAH gene, which picks up pain signals from injury, and a newly-discovered sister gene now called FAAH-OUT. The FAAH-OUT gene, previously thought to be useless ‘junk’ DNA, is now believed by experts to help switch on the FAAH gene. When it is partially deleted, as in Mrs Cameron’s case, that does not happen and pain signals are not picked up. It gives the Scots pensioner double protection from pain, so she feels less pain than those with just the one mutation in the FAAH gene, which is more common. It also raises hopes of a drug that might help with pain by blocking both genes. Clinical trials of a drug blocking the FAAH gene alone have not worked. The side effect is mutations in the genes, which control the brain and spinal nerve, also cause forgetfulness, which Mrs Cameron has suffered throughout her life, often losing keys or struggling with words. But the genetic mutations also give her almost double the normal level of a soothing natural chemical called anandamide, which she says keeps her on a permanent ‘high’ and extremely cheerful. She is rarely anxious, even in a car accident two years ago in which her car flipped over and went into a ditch. The genetic mutations also cause wounds to heal more quickly, and people to forget pain fast, which could lead to a drug treatment for PTSD. Researchers believe more people share Mrs Cameron’s genetic quirks, having found one in Colombia already, and have appealed for them to come forward. Her son has the deletion in the FAAH-OUT gene but not the mutation in the FAAH gene. ‘I am forever burning myself on our oven but only notice when I smell the burning flesh. 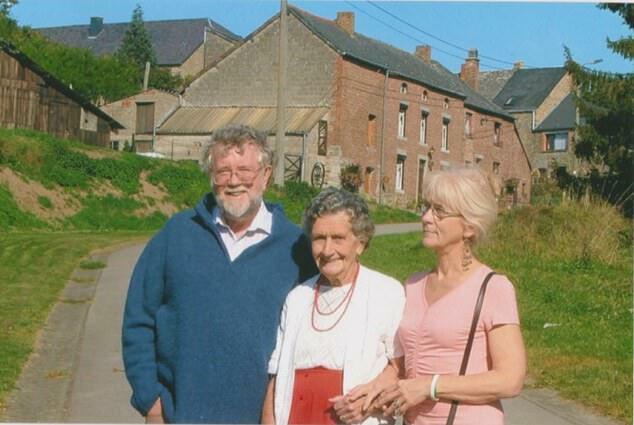 Her case – reported in the British Journal of Anaesthesia – explains Mrs Cameron only realised her pain-free life was unusual at 65 years old when she sought treatment after her hip kept giving way. After being sent home three times due to her lack of pain, an X-ray eventually revealed her hip had ‘almost disintegrated’. It turned out she was suffering from severe osteoarthritis, which lists stiff, painful joints as its main symptom. 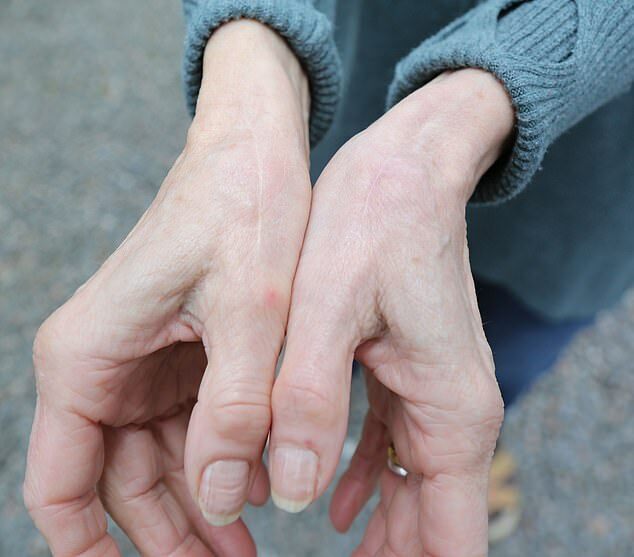 A year later, Mrs Cameron underwent a trapeziectomy on her right thumb at Raigmore Hospital in Inverness. The surgery involves removing a small bone in the wrist at the base of the thumb, which is commonly affected by arthritis. Mrs Cameron complained of ‘deformity and deterioration’ in the digit but reported no pain. After being treated with just paracetamol, she rated her discomfort as zero out of ten the day after going under the knife. Mrs Cameron was later diagnosed with pain insensitivity by Dr Devjit Srivastava, a consultant in anaesthesia and pain medicine at Raigmore Hospital. ‘I had no idea until a few years ago there was anything that unusual about how little pain I feel – I just thought it was normal,’ she said. When asked about her pain history, Mrs Cameron reported having multiple varicose vein and dental procedures without any analgesia. She also claimed to have had medical stitches and broken her wrist without any discomfort, and felt nothing while giving birth to her two children. ‘My advice to other women was childbirth is not as bad as you think it is, it just feels strange but does not really hurt,’ Mrs Cameron said. ‘I didn’t realise that would not be the case and for me it was not the wrong advice, because that was my experience. Alongside her immunity to pain, Mrs Cameron also claims she never panics. To determine what is behind Mrs Cameron’s desensitisation to pain, the researchers analysed her DNA, as well as that of her relatives. Mrs Cameron’s mother and daughter claim to feel pain as normal, while her son reports some insensitivity. Her father Joseph, who has died, allegedly had ‘little requirement for painkillers’. ‘My father was a captain in the tank regiment in World War I and had shrapnel left in his leg but never felt pain,’ Mrs Cameron said. ‘I feel sure he was the same as me. Results of the genetic analysis revealed Mrs Cameron’s son carries one of the same mutations as her. The first, which had never been identified before, was found in a section of one of her chromosomes and was dubbed FAAH-OUT. Her second mutation is in a neighbouring gene that controls the FAAH enzyme. FAAH is involved in pain signalling, with mutations in mice resulting in them having reduced pain, enhanced wound healing and low anxiety, as well as poor memories. Mrs Cameron reports always having had memory lapses, including forgetting words mid-sentence and misplacing her keys. Jo Cameron is the first known case of someone with mutations in both the FAAH gene, which picks up pain signals from injury, and a newly-discovered sister gene called FAAH-OUT. FAAH-OUT – previously thought to be ‘junk’ DNA – is now believed by experts to help switch on the FAAH gene. When it is partially deleted, as in Mrs Cameron’s case, that does not happen and pain signals are not picked up. It gives the pensioner double protection from pain – so she feels less than those people with just the one mutation in the FAAH gene, which is more common. It also raises hopes of a drug that might help with pain by blocking both genes. Clinical trials of a drug blocking the FAAH gene alone have not worked. The side-effect is that mutations in the genes, which control the brain and spinal nerve, also cause forgetfulness, which Mrs Cameron has suffered throughout her life. She confesses that she often loses her keys and struggles with words. But the mutations also give her almost double the normal level of soothing natural chemical anandamide. The 71-year-old says that keeps her on a permanent ‘high’ and extremely cheerful. The mutations also cause wounds to heal more quickly, and people to forget pain fast, which could lead to a drug treatment for post traumatic stress disorder. Mrs Cameron’s son has the deletion in the FAAH-OUT gene but not the mutation in FAAH. However, experts believe others have both her genetic quirks, with one example found in Colombia. They have appealed for any others to come forward. FAAH-OUT was assumed to be non-functional, however, the researchers now believe it may play a role in FAAH’s expression. These genetic mutations have led to Mrs Cameron having higher levels of the natural, soothing chemical anandamide, which may give the grandmother her sunny disposition. The researchers believe that due to Mrs Cameron not being diagnosed until she was in her mid-sixties, there are likely many more people out there with her same mutations. ‘People with rare insensitivity to pain can be valuable to medical research as we learn how their genetic mutations impact how they experience pain, so we would encourage anyone who does not experience pain to come forward,’ Dr Cox said. Mrs Cameron will continue to work with the scientists to help them better understand her mutations. ‘We hope that with time, our findings might contribute to clinical research for post-operative pain and anxiety, and potentially chronic pain, PTSD and wound healing, perhaps involving gene therapy techniques,’ Dr Cox said. ‘One out of two patients after surgery today still experiences moderate to severe pain, despite all advances in painkiller medications and techniques since the use of ether in 1846 to first “annul” the pain of surgery. ‘The findings point towards a novel painkiller discovery that could potentially offer post-surgical pain relief and also accelerate wound healing. 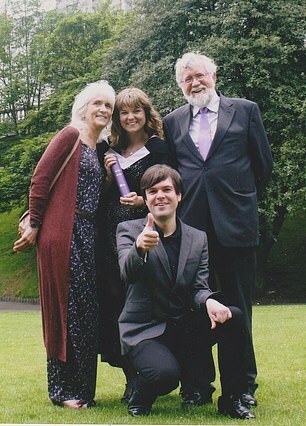 Mrs Cameron said: ‘I would be elated if any research into my own genetics could help other people who are suffering.